This is another one for my Family Album. Isla was baptized in November of 2012. I used a collection from Authentique called Delightful. I cut a few things out on my Silhouette for this layout, like the hexagon background and the banner. So fast and easy. I'm loving it! So sweet Char! A great family portrait and page! This is so pretty. 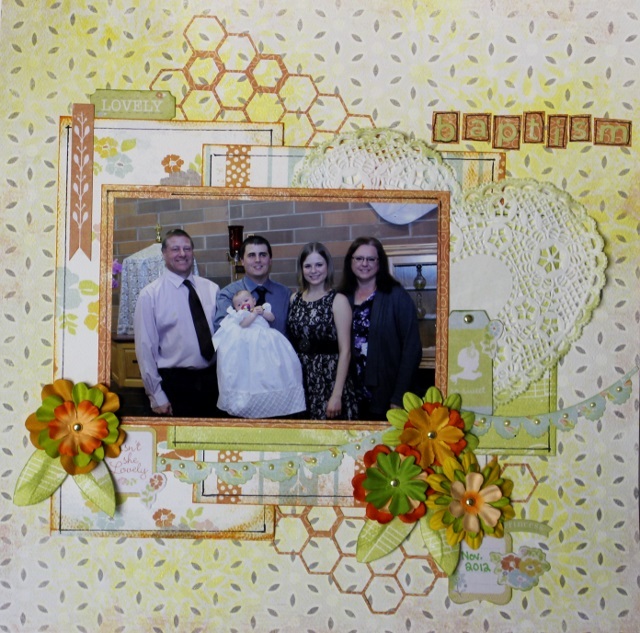 I love the soft colors and all your Cameo cuts and of course I LOVE the family photo! !